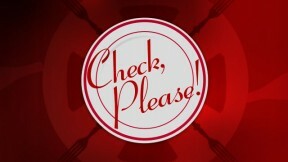 Check, Please! with host Catherine DeOrio is the show where regular people from all over Chicago recommend and review their favorite restaurants. Every week there are three guests. Each recommends his or her favorite spot, and the other two go to check them to see what they think.